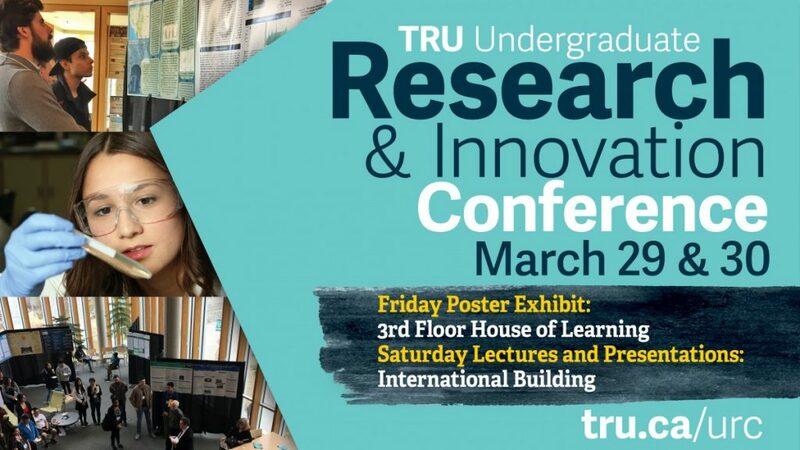 TRU Library invites you to check out the 14th annual TRU Undergraduate Research and Innovation Conference this weekend. This FREE EVENT is open to everyone and is an opportunity for students from all programs, departments, and areas of study at TRU to share their work with the rest of campus and the larger community, either as a poster or as a 15-minute lecture. The conference will take place Friday March 29th and Saturday March 30th. Come view some fascinating student research posters at House of Learning Library on the 3rd floor from 12pm to 4:30pm on Friday, or watch captivating presentations on Saturday in the International Building. We hope to see you there, learning something new!